On June 12, 2013, the IMCCA State of The Industry Lunch will be hosted from 12:00PM until 2:00PM in the Orlando Convention Center, Room 314B. The lunch will consist of presentations from experts and senior executives as they discuss the latest issues relating to conferencing, collaboration and unified communications. Mr. Gerard Pompa, Senior VP and CSD Division Manager, will represent Compunetix. Guests are able to ask these panelists questions about latest user applications, mobility and interoperability and their impact on the industry, or anything else they are curious to discover. The luncheon will also include a raffle drawing for a KINDLE HD! Joining Compunetix on the lunch panel will be representatives from Applied Global Technologies, AVI-SPL, Cisco, Dimension Data, LifeSize, Pexip, Polycom, RADVISION, Sabre, and Vidyo. 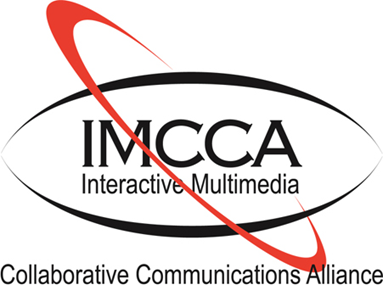 In addition to the annual Lunch and Learn, IMCCA will be sponsoring a series of sessions as part of InfoComms’s educational outreach. These sessions will take place on June 12th and 13th in rooms 315A and 314B at the Convention Center. Mr. Jim Klueber, Compunetix VSD Division Manager, will join his peers in the video conferencing segment and participate in a panel session on Thursday entitled “The Future of Desktop and Mobile Devices.” This session will explore the upcoming world of mobile collaboration tools and applications and their impact on the established conferencing market. To be registered as a guest for no fee, please RSVP: To Carol Zelkin no later than Tuesday, June 11th at czelkin@imcca.org. Follow us on Twitter for live tweets from the events @CompunetixAudio!